Investing in multifamily has been gaining a lot of attention in recent times for being the perfect investment. Moving far from the crowd, Paul Moore – Founder and Managing Director at Wellings Capital – has expanded his multifamily vision to self-storage and mobile home parks. Paul shares the details of what they do at Wellings Capital, showing how recession-resistant these asset classes are and why they are great investments even in downturns of the economy. On top of that, Paul gives us the value formula and the importance of getting acquainted with the other homes in the neighborhood. Our guest on this episode is my friend, Paul Moore. Thanks for being on the show, Paul. It’s great to be here again, Whitney. Thanks for having me on. It’s an honor. I’m pleased to have Paul back. You’ve probably heard him on the show. You’ve also seen him all over BiggerPockets. He’s doing lots of videos and writing some stuff for them as well, but Paul is the Founder and Managing Director at Wellings Capital. He’s the author of The Perfect Investment: Create Enduring Wealth from the Historic Shift to Multifamily Housing. That was in 2016. He cohosts a wealth building podcast called How to Lose Money. He’s been an entrepreneur for many years. He’s a great friend of mine for many years. I’d like for the audience to go back and read the blog to know more about your background, but I want to dive right in. On the last show, we were talking about apartments and how great they are. Now, I hear you’re into self-storage and you started a fund. Catch us up about some changes that’s happened and we’ll get into those details. I promised my wife a few years ago when we had finished the Hyatt hotel in North Dakota and that was not successful, but we had another successful multifamily quasi hotel before that. I promised her I am sticking with multifamily. I’m in multifamily. It has amazing demographics. It’s got the Millennials. It’s got the next generation behind them, Gen Z. It’s got immigrants. It’s got Baby Boomers who are starting to rent more and more. Everything lines up for multifamily to be the perfect investment and that’s why I called the book that. I still believe that and in fact somebody asked me, if I had $1 million to place somewhere and I had to leave it sitting for 100 years like Warren Buffett, where would I put it? I would put it in multifamily because I really believe the apartments being built now will still be occupied by multifamily tenants in 100 years. The problem is too many people have come up with the same idea. Many people are rushing into multifamily. We’ve got international money coming in, self-directed IRA money coming in and self-directed 401(k) money coming in. You’ve got new gurus people coming in, people who weren’t around through the pain of the last recession and they don’t see that they’re overpaying. We’ve got wolves in sheep’s clothing telling people it’s okay to dramatically overpay for multifamily. We have got a record number of 1031 exchange money coming in all rushing at multifamily in addition to REITs, which are coming in from the coast into the middle of America, competing with us in small towns like Roanoke, Lynchburg or Lawson in Kentucky. Multifamily’s the perfect investment but it’s too perfect. It’s overheated. We decided to expand our vision at Wellings Capital to self-storage and mobile home parks. What we love about those is both of those are recession resistant. Both have done very well during the last downturn and they’ve done well in the boom time since then. That’s a quick overview of where we’ve been. 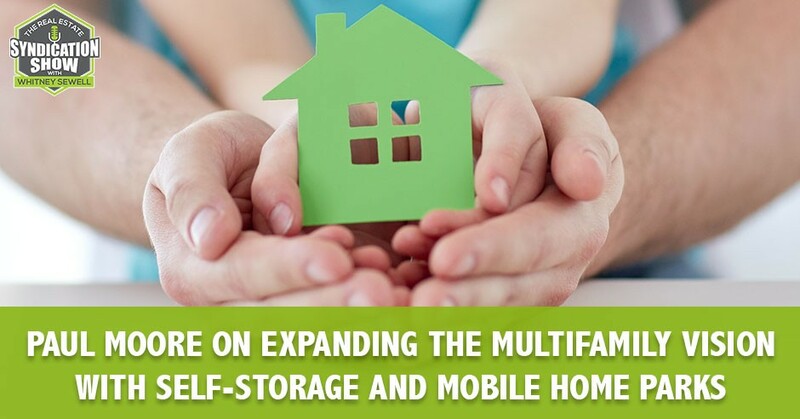 We’ve set up two different funds to allow our investors to have access to multifamily, self-storage and mobile home parks. Could you speak to what you said about being recession-resistant, about those asset classes and why that is? Think about mobile home parks. It costs anywhere from $5,000 to $12,000 to move a mobile home. It’s believed that only 1% of mobile home parks are owned by institutional investors. 99% are therefore by independent operators. A lot of those are mom and pops. If you can find the right one, acquire that mobile home park and start upgrading the park, the office and the experience, you can add a lot of value. I never would have thought you could add value to a mobile home park, but you can also raise rents. A lot of the mom and pop owners might have 100 or 300 lots and they haven’t raised rents in many years, and they’re way below the market. I’m not talking about in an unethical way, but if you raise rents to the market value, people are probably not going to spend $5,000, even $10,000 or $12,000 for a double wide to move it down the street to save $30 or $40 a month. It’s probably not going to happen. Every mobile home park operator I’ve talked to has said this. You can raise the rents to a reasonable level. It’s the only asset class I know of where the supply is actually diminishing and the demand is the same or increasing every year. There are 10,000 people a day turning 65 in the US and one in three have zero saved for retirement, one in two have less than $10,000 saved for retirement. A lot of them, 60%, have home equity though. A lot of those people are willing to trade their home equity to get a mobile home, moved to a mobile home park and have $250 to $500 a month in lot rent. They can greatly decrease their costs and go on to Social Security as they ride off into the sunset. That’s mobile home parks, self-storage. Think about it. In great times, when people were crowding the cash registers at Walmart or jamming the checkout at Amazon, they’re buying stuff and they need a place to put that stuff. Baby Boomers and the Millennials are losing their parents. All of my wife’s and my parents are gone. There are a lot of antiques, heirlooms and things we don’t want to get rid of, but we don’t have room for it. Places like Florida, Texas and California don’t have basements typically, so they need a place to put their stuff. Their attics are too hot in places like Florida. They need a place to put their stuff. In bad times, people are downsizing from a 4,000 square foot home to a 2,000 or a 2,000 square foot home to an apartment. When they do that for a relatively small amount of money, they can store their stuff at a self-storage facility. If I had an apartment and I was running it to you, Whitney, for $1,000 a month and I raised your rent by 6%, you might move for $60 a month, especially considering you’re going to be there for years to come. You’ve chosen that life. If I raise your $100 a month self-storage unit by 6%, you’re probably not going to run a U-Haul, get your friends together, get all sweaty to move your stuff down the street to save $6 a month. When you think as a tenant, you’re probably not going to be there more than a few more months anyway, which is what many tenants think. As it dings their credit card month after month, year after year, they’re often a lot longer than they planned. Self-storage tenants are sticky, and I don’t mean they have Velcro suits on, they’re sticky, they stay and so the mobile home park tenants through thick and thin. If across the board, everything was the same as far as the number of people looking for that asset class on a percentage per the size of the asset class or the number of those units across the country, what class would you choose then? You’re experienced with each one, let’s say the field is equal in all of them. Out of all those three, I would choose a very specific value-add formula with self-storage. There are 53,000 self-storage facilities in the country. They’re growing by 2,000 in 2019, so it’s 55,000. Fifty-five thousand self-storage facilities in the country, it’s believed that about 40,000 are operated by independent operators like mom and pops. There used to be a mantra, “If you build it, they will come.” It was true because self-storage was new in the ‘70s and the ‘80s. People could build a self-storage facility on a field near town and it would fill up. These operators operated these like mom and pops. They operated these like a passive piece of real estate. That was the draw for me. In 1999, I almost build a self-storage facility near a little town called Rocky Mount, Virginia. I had the land available and I thought about it but then I thought, “Somebody else could throw in another 500 units right next door. I couldn’t stop them,” and I’m glad I didn’t do it. I didn’t know I would have been one of those mom and pops that needed to be acquired. These mom and pop operators often don’t have websites. They often build it for a fraction of today’s value. They’re getting a massive return on investment. They have a part-time person working a phone and they don’t have a showroom. They don’t do a lot of marketing. They don’t raise their rents. There are all kinds of things they don’t do that a professional operator could do. Here’s the opportunity, of all these asset classes, this is what I would do. I would go in and find a self-storage facility that’s in the path of progress but that’s outdated. It doesn’t have a website, it doesn’t have great marketing, all these things and maybe it has some room to build additional units. I would acquire that. I would acquire from a mom and pop. They say, “You make money when you buy,” but with this strategy you make money when you buy, when you operate and when you sell. I would acquire from a mom and pop. Number two, I would go in and change every policy and procedure that made sense. I would add a nice website. I would start looking for tenants who are not price-sensitive. I would start calling off the tenants that were. I’d start raising rates to the market rent. I would start selling units individually to tenants based on their motivation, their income level, etc. We can get to know each tenant with Facebook and all the other tools we have out there. We can actually get to know these tenants. We know if one comes from California, they’re relocating, they’re building a home and it’s going to take them a year to build a home, they’re not going to move. We can raise their rates a little bit more than somebody else who’s price-sensitive. I would market that way. I would operate that way. I would add U-Haul or Penske and that would add $1,000 to $3,000 a month. I visited with one in Rockledge, Florida that was saying that their revenue from U-Haul, their commissions alone were $5,000 a month. I would add U-Haul, I would add a showroom with locks, boxes, tape and scissors for sale. I would add admin fees, late fees and I would begin to evaluate the demand in the market. Mobile Home Parks: No matter how beautiful you make the house, your value is going to be limited by the other homes in the neighborhood. A mom and pop owner says, “We’re out of 10×10. I’m sorry,” but a great operator prices the last one or two in a high demand unit size much higher. “We’ve got 10x10s. They’re X and they’re higher than what we last sold.” I would additionally go in and evaluate what the sizes were that were in most demand and then I would build more of that size. This is sheet metal and concrete. I would knock out some walls and reconfigure to get the sizes that were in the most demand. That’s what a professional operator does. I would operate well and then I would plan to sell it to an institution. In fact, I would do it with several in a region. I would bump them up to a professionally run operation. I would add units if I could, then I would sell it to a REIT for a compressed cap rate. That is a long answer but that’s what I would do. If you look at the value formula in commercial real estate versus the value formula for residential, you’ll know why I would do it this way and why I would be in commercial real estate in general. Have we talked about the value formula before? In residential real estate, almost everybody’s owned a home, rented a home or had a single-family rental, duplex or triplex. The value is based on the other homes in the neighborhood. No matter how beautiful you make the house, you’re going to be limited by the other homes in the neighborhood. There was a guy named Jack Warmer. He and I upgraded a beautiful Cape Cod home on Signal Hill Road in Roanoke, Virginia back in 2001. No matter how beautiful it was, it was limited by the declining neighborhood around it. We learned a hard lesson from that house. In commercial real estate, it’s very different. The value is based on the net operating income divided by the cap rate. The net operating income is the free cashflow. The net income not including debt service that is thrown off by the operation of the property. The cap rate is the capitalization rate or the rate of return that type of asset in that geography at that time would bring. A typical cap rate would be between 5% and 8%. The basic rate of return investors expect on their investment. That’s at the asset level. If you can increase the numerator, the net operating income and somehow compressed the denominator, which is again the cap rate, you can dramatically increase investors’ return. Let’s say I bought a self-storage unit, if I can increase the U-Haul income by $1,000, $2,000, $3,000 a month, then I can increase rents by 20%, which is normal for buying from a mom and pop that hasn’t maximized rents. If I can add another building, let’s say it’s a climate-controlled beautiful building, I might be able to add who knows how much. Let’s say another 20% to income. I add locks, boxes, scissors, increase occupancy. U-Haul alone, they say increases occupancy by 3% to 5% as people rent a truck. They often say, “I need a place to store this stuff while I’m at it.” All that stuff combined, let’s say we increase the numerator by 50%, we go from theoretically, $100 to $150 in income. We’ve increased it by 50%. At the same time we did all that, we put in new fencing, new security, beautiful showroom, upgrade the marketing, upgraded to a first-class facility and we can compress the denominator from let’s say theoretical, 7% down to 5.5% when we sell to a REIT. They’re willing to pay a premium, let’s say 6%. The numerator went from $100 to $150 the denominator went from 7% to 6%. That is an increase value appreciation to the property of 75%. That sounds good. 75% appreciation from making these changes and finding the right type of buyer, but it’s much better than 75% because we forgot the leverage. The 75% of the asset value is leveraged by debt. Let’s say we do a fairly conservative 60% loan-to-value ratio. 60% loan on that means you’re affectively multiplying your equity by 2.5% X. That’s taking the appreciation from 75% of the asset level to 187% to the equity. 187% increase in equity from making these changes. None of those that I said were unrealistic or that hard, but you can’t do that in a year. It might take two and a half, three, three and a half years. Let’s say it takes three years, 187% return divided by three years, that 62% ROI per year. That doesn’t include the principal pay down, if any. That doesn’t include the income thrown off annually by the facility, which might be 4%, 5%, 6%, 8%, 10%. That’s about 70% annual ROI. That was a real example because one of the operators our fund is investing with has done that an average of about 70% ROI to its investors over the last nineteen deals on average. You can see why Wellings Capital loves this value-add self-storage strategy. Are you finding operators who are doing this and are doing all these improvements that you’re talking about? We found two or three operators. There are probably dozens out there who are able to do it. There are 40,000 potential facilities. Many of those are too small. They’re not in the path of growth, are in small towns, but a lot of those are potential targets like one we invested in South Carolina. Another one I can tell you about in Reno. I’d like to know a little about your fund and why you started a fund. Maybe our audience are thinking about starting a fund and why they would go down that path or why they wouldn’t? A fund investor gets a K1 and not a 1099. 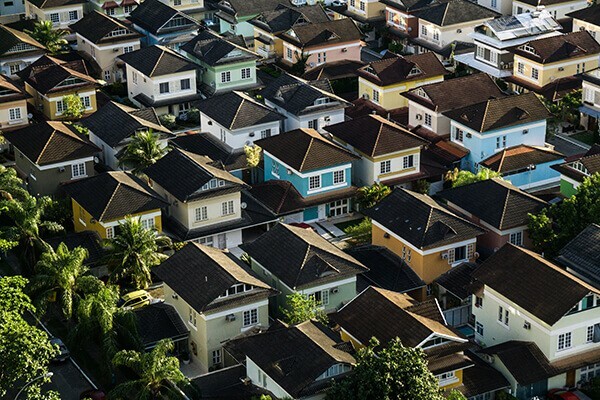 If you’re an investor with a type of asset class that gives you a 1099, you might not be getting all the depreciation that a direct owner of real estate does. A fund or a basically investing through an LLC gives you all the depreciation, all the amazing tax write-offs that a real estate investor gets, especially with the new Tax Reform Act. It’s pretty stunning some of the new write-off potential but it also means investors with us, number one, they get diversification. They get to diversify their investments across several different operators, geographies and quite a few different assets. That’s one beautiful thing about a fund. Secondly, they’re getting our due diligence. We’re spending a whole lot of time doing due diligence on these operators and these geographies. We’ve turned down far more than we’ve accepted and we’re trying to take the emotion out of it. A lot of investors struggle with when they like an operator and they see big numbers, like some of the numbers I threw around. Some of those operators are people we wouldn’t invest with even though the numbers look good. We are adding the due diligence, the diversification, we’re giving the same benefits as investing directly. One more thing, we’ve got a special deal with most of these operators that allow us to get a bonus or a premium on our investment because we’re bringing them perhaps 30%, 40%, 50% of their equities. We’re getting a better deal than a retail investor and our investors are getting the advantage of that. I’m raising capital for different deals, but I can see where an investor in your fund are much more diversified as opposed to investing in one specific deal that I’m working on or that I’m partnering with another sponsor. It’s possible. I don’t know the deals that you have. I believe that you’re part of groups that are also getting great same type of premiums. As an example, a retail investor who goes to one of our operators might get an 8% preferred return and a 50/50 split and get a very nice return. If they invest through us, they’re part of the ideal that gives them an up to by 10% preferred return and instead of 50/50, a 70/30 split. What does that do? That basically offsets our fees. I’m not saying they’re going to make a whole lot more, but they’re going to get the diversification and the due diligence. We do enjoy our investors and we do have some fun. As far as the fund specifically, the hardest thing about setting up a fund is how do I know I’m ready to do that? I was surprised and I hate to let the cat out of the bag, but it wasn’t any harder than setting up an individual LLC. It wasn’t any harder than an individual syndication. The typical cost for setting up an individual syndication is between $10,000 and $17,000. That includes a few thousand for state filing requirements. It’s about the same for setting up a fund. Is there a way that you’ve improved your business that we can all apply in ours? We had a one or two investors who came to us before we were ready. This was actually when we were doing a multifamily deal. We had so much hassle, so much trouble getting the wire instructions to them with all the wire fraud and all that. We had so much hassle just getting them money, the documents signed and everything initialed and everything all done right that we set up a portal. We spent quite a bit of money of our own to do this but we set up a portal with a company that allows our investors the most incredibly simple, user-friendly experience you can imagine. That is one of the best things we’ve done. We set that up with CrowdStreet, although there were a lot of other operators out there who do a great job. This is a private label. They’re using our colors, our fonts, our logo and we love it. I haven’t done a demo with them, but I’ve done a demo with most of the other companies like them or portals. Paul, what’s one thing that’s contributed to your success? Learning to say no. I spent most of my first twenty years as an entrepreneur. You could call it chasing shiny objects. My default was to say yes. If everything looked good and I liked the person, I would say yes. My default by far is no and we’re learning to say no more and more. Even people we like and we want to do business with, they’ve got to check the boxes. It’s made us slow going and we’ve been slow to grow, but I think it’s worth it. In the next ten years or so, our investors are going to thank us for that. What’s something you’re excited about for Wellings and in the future? I might have talked about this before, but one of my kids at bedtime says, “Another day, another week starting. It’s Monday.” I said, “I’m excited. I’m another day closer to setting slaves free.” Human trafficking is appalling. If I was alive in the 1860s, I want to believe I’d be an abolitionist fighting for the freedom of slaves. If I was an adult in the 1960s, I want to believe I’d be fighting for civil rights. Human trafficking is a civil right that’s been ripped away from up to 40 million people who have been enslaved around the world. Did you know if you took the record, not the average, the record profits of Nike, General Motors, Starbucks and Apple, the record profits added those together, double that number, that’s less than the estimated annual revenues from human trafficking? It is a horrible thing. It’s not making headlines and it’s not causing a civil war, but it is nevertheless one of the most grievous things. It’s happening right now, so Wellings Capital is passionate about getting the word out about this, fighting human trafficking and rescuing its victims. I appreciate you sharing that. I also like to ask how they give back. I assume that’s it or is there something else you would add? No, I think that would be enough. Is there a need in your business right now that you would like to let the audience know about? We just want to connect with accredited investors who would love to have diversification across several asset classes. You can go to my website, WellingsCapital.com. Paul, thanks so much for your time and being on the show. I appreciate the audience and I hope you all will connect with Paul. Also, go to Life Bridge Capital and connect with me. Go to The Real Estate Syndication Show on Facebook so we can grow our business together and network with like-minded entrepreneurs. Have a great day and we will talk to each of you soon. After graduating with an engineering degree and then an MBA from Ohio State, Paul started on the management development track at Ford Motor Company in Detroit. After five years, he departed to start a staffing company with a partner. They sold it to a publicly traded firm five years later. Along the way, Paul was Finalist for Ernst & Young’s Michigan Entrepreneur of the Year two years straight. 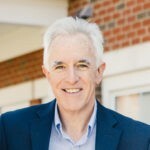 Paul later entered the real estate sector, where he completed over 85 real estate investments and exits, appeared on an HGTV Special Real Estate episode, rehabbed and managed rental properties, built a number of new homes, developed a waterfront subdivision, and started two successful online real estate marketing firms. Three successful developments, including assisting with development of a Hyatt hotel and a multifamily housing project, led him into the commercial real estate arena. Paul is married with four children. 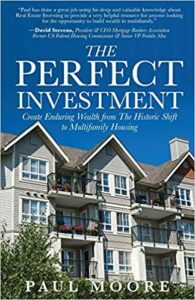 Paul is the author of two real estate investment books including The Perfect Investment – Create Enduring Wealth from the Historic Shift to Multifamily Housing (2016). 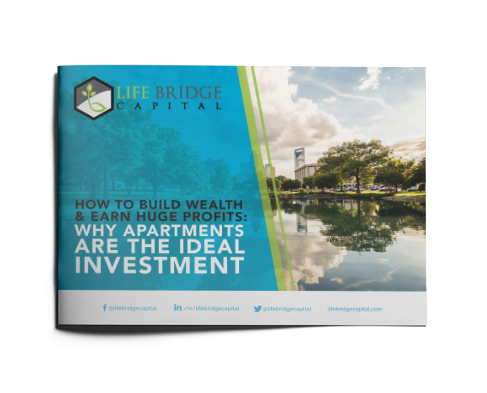 This informative guide gives investors a clear path to minimize risks and maximize returns in the coveted asset class of commercial multifamily investing. He also hosts the How to Lose Money wealth-building Podcast.